No matter how much I focus my movie and TV watching, there’s just too much to catch in any given day. I’m constantly making tough choices on what to see, and other options fall by the wayside. Taking a business perspective, there’s essentially an opportunity cost to any decision. For example, I spent much of July watching the first season of Deadwood. I loved the show, but those 12 hours were used at the expense of something else. I could have spent that time seeing Boyhood or another promising new release. I’m currently watching Top of the Lake for the first time, and a DVD of Inside Llewyn Davis hasn’t found its way onto my screen. The ease of access is great, but there’s part of me that finds it constricting. The option paralysis leads to wasted moments figuring out what to do. It’s a silly complaint given the benefits, but it’s hard to escape. There’s no way to catch everything that we want to see, so prioritizing becomes a real challenge. The glowing reactions to Guardians of the Galaxy have been surprising to me despite the massive buzz that preceded it. Unfortunately, this excitement has caused some fans to go too far in attacking the dissenters. Stephanie Zacharek from The Village Voice didn’t like the movie, and the comments against her were sexist and brutal. Alan Scherstuhl’s reply calls out the ugly behavior and reminds us that perhaps being a little more open-minded about films that we love is the right way to go. 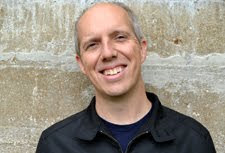 Ryan McNeil from The Matinee and Jandy Hardesty of The Frame have started an intriguing series where they discuss the writings of critics included in the American Movie Critics anthology. Their latest post about Hugo Munstenberg goes into a lot more issues than his writing. I’m not familiar with him, so it’s great to see Ryan and Jandy taking his work and letting the discussion go from there. An example is their take on why films are so accessible and how it brings different classes together. Looking in a different zone, I’ve grown concerned at signs that Disney World is changing for the worse. 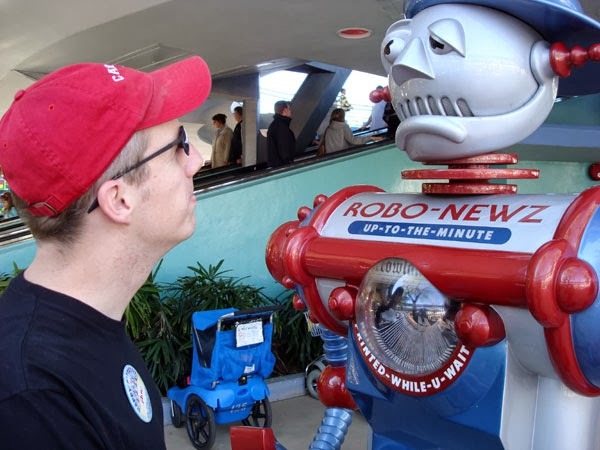 While their competitor Universal is opening Diagon Alley and a giant Transformers ride, Disney is focusing on ways to be “efficient” and get more revenue from guests. There are few signs this will change anytime soon. Tim Grassey at Micechat feels very similar and describes the situation in his piece “It’s Time for a Walt Disney World Renaissance”. It’s a measured and fair article that uses numbers to show that Disney is losing some guests and doesn’t seem willing to work to get them back into the fold. Leigh Singer at Press Play has created a video essay that includes clips from a massive number of films within the “Slow Motion Movie Supercut”. This collection presents the many ways that slow motion is used to create drama, make people look cool, and enhance the power of a scene. It doesn’t always work, but there are countless examples that combine to make a convincing case for how it can succeed. I love this type of video, which reminds me of great moments from some of my favorite films. 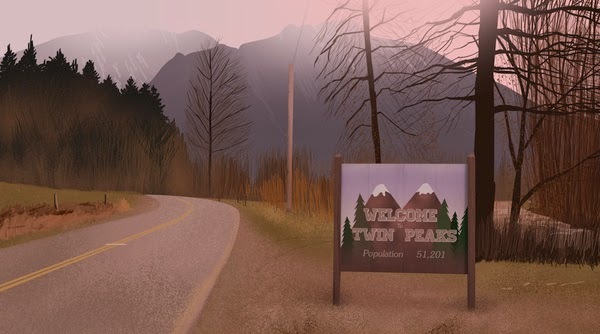 The Blu-ray set “Twin Peaks: The Entire Mystery” was released last week, and its most exciting feature is 90 minutes of extra footage from Fire Walk with Me. Titled “The Missing Pieces”, the segments function like a separate movie and fill in some blanks. Joel Bocko provides his thoughts on them in a great post at Lost in the Movies. He’s a Twin Peaks fanatic and is the right person to dig into them and provide an interesting analysis. It’s an even-handed, well-written look at something that fans have wanted to see for a long time. I hope you like Top of the Lake! I thought it was a very well done mini series and having never watched Mad Men it clued me in to Elizabeth Moss for the first time. I really like her. 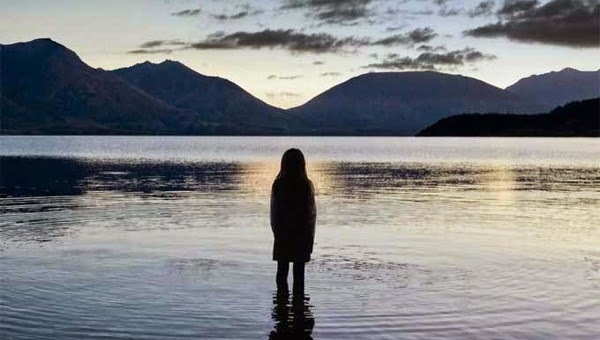 Top of the Lake has been really good so far; we've watched three episodes. I've liked it more with each episode. There are too many box sets that I'd love to have! Hello Dan! I've heard great things about Top of the Lake, but I'm so bad w/ TV shows, it's taking me forever catching up to Downton Abbey! Y'know, I'm not as enamored by Guardians of the Galaxy as most people either, I mean it was fun but I don't know how memorable it'll be in a few months time. Heh, even from the reaction of this one blogger when I said he's *fawning* over the movie is so defensive, and I didn't even criticize the movie much. It's so sad how people get so nasty over a movie, esp attacking someone's OPINION. I mean there is no right or wrong to an OPINION! In fact, all the fawning over that movie makes me like it less now. I'm not even hugely anticipating the sequel as it's probably gonna be more of the same. Hi Ruth! I'm also behind on a lot of shows, but we sometimes find it's easier to make time than with longer movies. I have a feeling that I'm going to like Guardians, but that's hardly the point. I think the nastiness towards critics for a lot of the comic book films (i.e., Samuel Jackson going after A.O. Scott about The Avengers) gets quite ugly, and the Internet makes it easy. And it's worse for women. I also don't get the anger when some of the big comic book films (and other sci-fi franchises) aren't loved by everyone. It's just a lot of wasted energy, and the comments towards women are sad. I'm also a big sci-fi fan, and it's great that we're getting to see some amazing films. The side effects aren't so good, though. Thanks for the comment! Whoa that slow motion supercut was so cool. Thanks so much for linking it here! No problem, Alex! There are a lot of great video essays out there. No problem, Jandy! I'm looking forward to the upcoming posts!